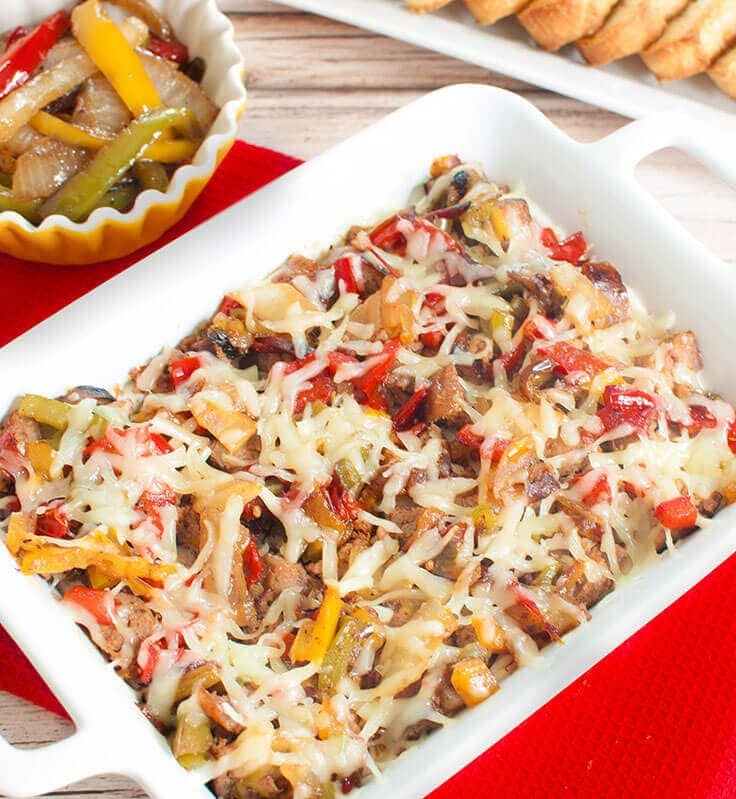 This easy sausage dip is creamy, cheesy and loaded with grilled peppers and onions A perfect party appetizer for the summer season. Summer has all but officially started. The hot weather seems to be here to stay for a while now. My Facebook feed has photos from the beach along with posts from my teacher friends about the last day of school. Last weekend, my husband and I went out to my friend’s camp in the country for a birthday celebration/summer kickoff party. It was a great way to get in the summer groove. I got to kayak and see a beautiful sunset over the water, enjoy a wonderful potluck, and roast (or shall I say burn) marshmallows by a fire for some yummy s’mores. I like my marshmallows nice and toasty. Do you char your marshmallows or just lightly toast them? Oh, I made pizza dip and key lime dip and they were both a huge hit. 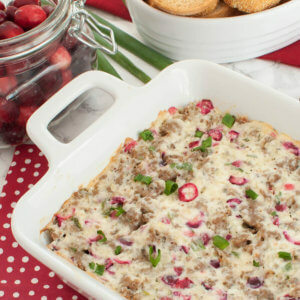 This sausage dip makes another great appetizer for all your summer gatherings. I used hot Italian sausage links for a bit of a kick, but you could use mild Italian or even another type of sausage like bratwurst. I recommend grilling the sausages for extra flavor, but you could opt to cook them your preferred way. My husband grilled these for me at like 10 am on a Saturday so I could shoot this dish. 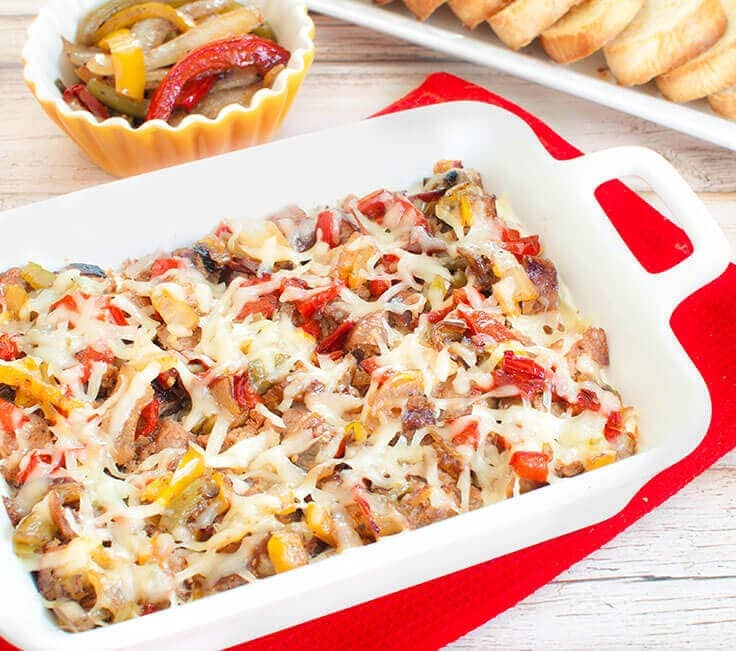 🙂 Grilled peppers and onions pair with the sausage for a classic summer combination turned into dip form. 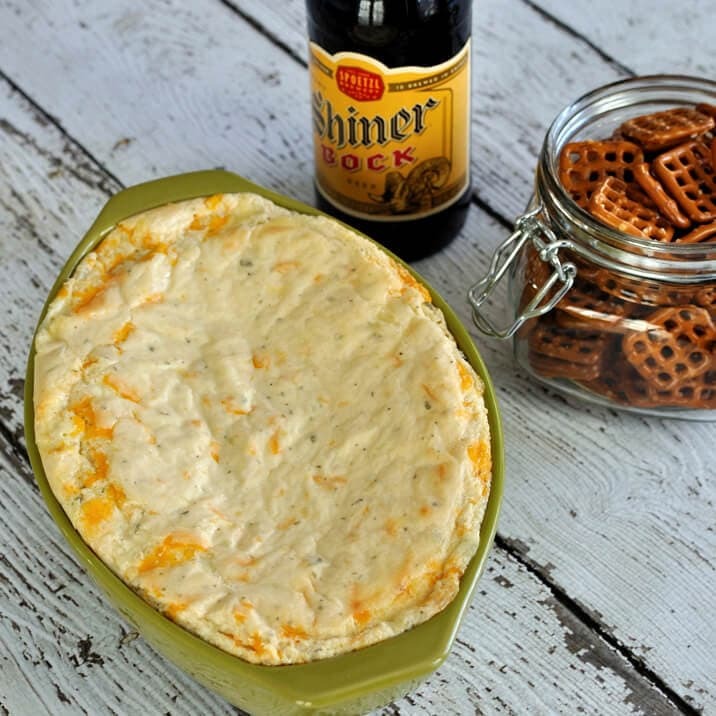 The dip is baked until warm and topped with mozzarella cheese. Doesn’t that just sound perfect for summer? 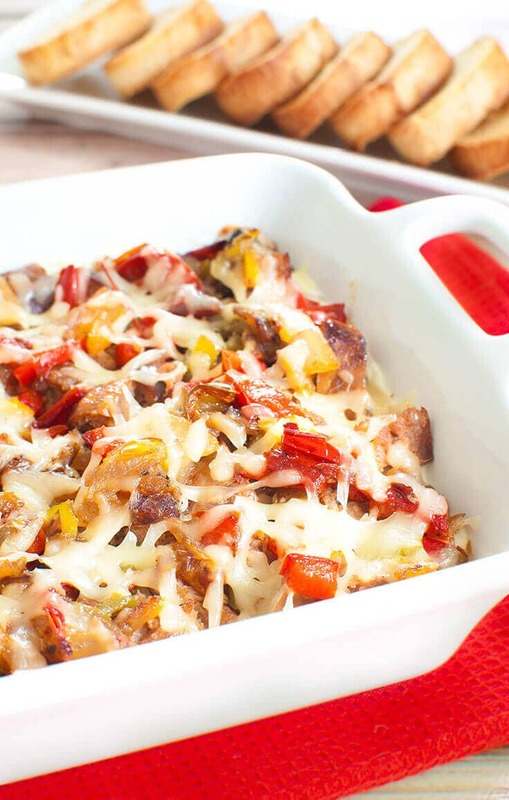 This easy sausage dip is creamy, cheesy and loaded with grilled peppers and onions A perfect party appetizer for your summer BBQ or cookout. 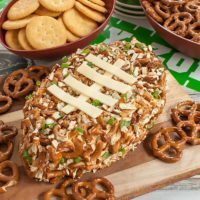 Using a mixer on medium speed, beat together the cream cheese, garlic powder, Italian seasoning and sour cream until mixture is creamy. Fold in 1/2 cup of the mozzarella. Spread cream cheese mixture evenly into small casserole or pie dish. Evenly place diced sausage over dip. Measure 1/2 cup of the grilled pepper/onions (you may have a little left over) and dice into smaller pieces. Set aside. Remove dip from the oven. 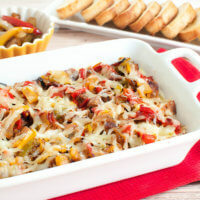 Spread peppers/onions evenly over the sausage and top with remaining cheese. Place back into the oven for 5 minutes or until the cheese on top is melted. 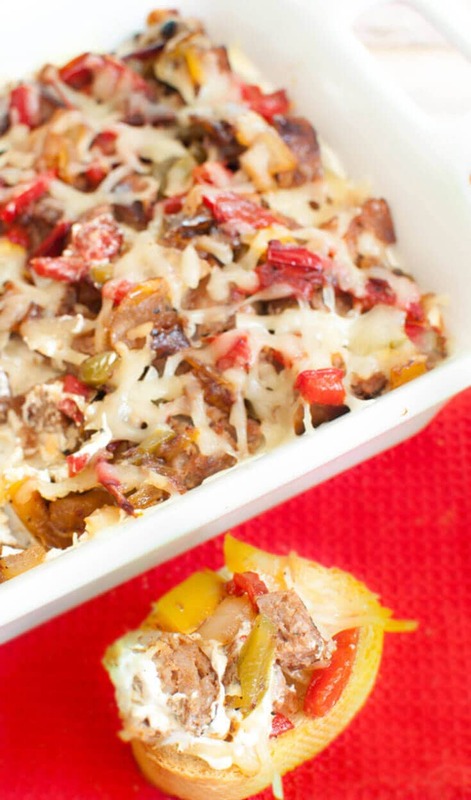 For grilling the peppers/onions, I use a method similar to this recipe. You could also roast them in the oven if you prefer. I'd suggest grilling the sausage, however, you can cook them a different way if you prefer.